Whether you are looking for a traditional .com or .org TLD, or you want something a little more cutting edge like .fashion or .technology, 1&1 IONOS has a range of domain registration deals to help you build a lasting web presence. We know keeping costs down when building a website is important, for this reason, 1&1 IONOS strives to keep our domain deals competitive. This means that you can channel your budget into more important aspects such as content creation or SEO optimisation. Simply put: deals on domain names don't come any better than with 1&1 IONOS. 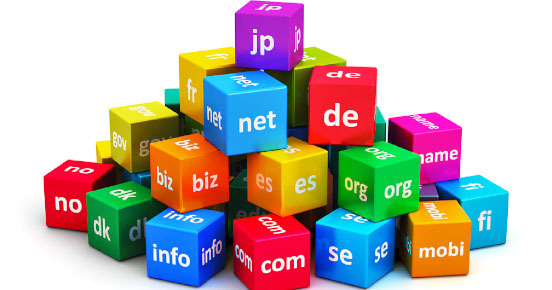 While traditional domain names such as .com are instantly recognizable to internet users, the range of new top-level domains brings an entirely new set of benefits. If you register an nTLD with our domain name deals, you can easily build a unique web presence that truly reflects your passions, interests, or field. Our great value domain deals include nTLDs such as .business, .news, .expert, and .online, plus many more. This means you can easily tailor your website address to your industry – helping your users to easily remember and find your website.